Detoxing has become the new buzz word these days. And this may be for a good reason. More and more people are experiencing real benefits from a detox diet and feel that they are lighter and more energetic afterwards. Since, there are clean signs that calorie restriction can prolong life it has real benefits for anti-aging too. How does it work and why should you go on detox diet? Many foods are loaded with toxins these days. We also tend to get stressed, don’t always take the time we need to digest food properly and eat the wrong foods that are full of sugar or have too much saturated fat and salt. Over time this can result in too much build-up of toxins in the body. Rather than being eliminated, some of the toxins get stored directly in fatty tissues under the skin. This is how the body prevents them from entering the bloodstream. If toxins continue to build up, new cell formation is disrupted and this can weaken your immune system, which can lead to a wide range of health problems from sinusitis, acne, viral infections and migraines. Food that has not been properly digested (due to overeating or eating too many of the wrong foods) can also lead to a vast amount of Muccoid Plaque. Mucoid plaque is a coined term used to describe the complex glycoprotein secreted by the intestinal glands which forms a gel-like slimy mucus layer which coats the intestinal canal. Mucoid plaque is highly adhesive so it is very difficult to remove without using specially formulated herbs and bowel cleansing formulas. A toxic and acid bowel means toxic blood, toxic lymph, toxic organs and cells, and poor health. How Do You Know That You Have Too Much Toxic Build-up? So What Can You Do To Detox? You will want to cleanse your body from the toxins and plaque build-up. You can do this by reducing the amount of food that you eat. When you limit your food intake, you reduce stress on the body, thereby decreasing the chance for developing disease, and you live healthier. If you include fasting on a regular basis you can slow down the aging process by lowering your body’s metabolic waste. An added benefit is that fasting will help you lose weight as well which will improve your general health. Is It Really Necessary To Stop Eating While Detoxifying? The chemicals and additives that the food contains will hinder your ability to release toxic build-up in your body. So How Do I Get Started With My Detox? A very good way to detox is to attend a detox retreat. You can follow 4, 7 or 10 day programs where you will have a limited diet of only herbs and juices and daily colonics to completely detoxify. 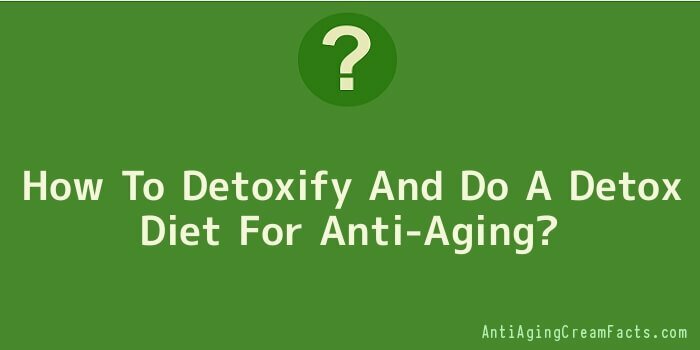 Another alternative is to do detoxing at home. In order to do this properly though, you will need to make sure that you take the right supplements to make sure that you get the nutrition you need. It also helps to take special supplements that assist with the detox process. One product that can help with this is Verseo Inner Cleanse. Verseo Inner Cleanse is a 7 day internal cleansing support program. There are two separate formulas, one to be taken during the day with (light) meals and the other to be taken before retiring for the night. It ranks among the leading colon cleansing and detoxification programs in America, becoming noted as an effective and proper part of a healthy lifestyle. The Verseo 7-Day Inner Cleanse can be used in tandem with our Verseo 48-Hour Cleanse to form the highly-effective 48/7 Cleanse™ Program System to rejuvenate, fortify, and detoxify your body. 1. For fast weight loss. 3. For a healthy lifestyle.